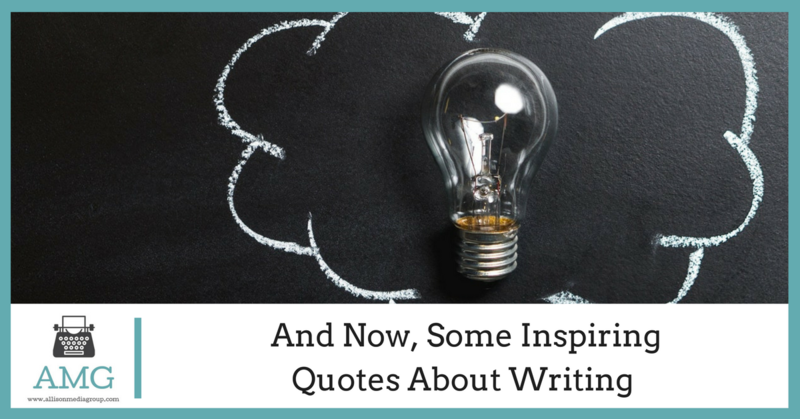 Inspiration is an important part of being a writer. Whether you write fiction or ad copy, you need that spark of inspiration to get you through and ensure that each piece is the best it can be. 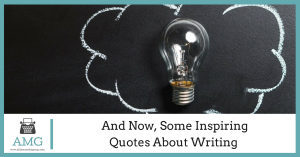 If the well seems to run a bit dry at times, here are a few quotes about writing that might give you the new perspective you need. Sometimes all it takes is a little nudge in the right direction to find your inspiration so you can craft your best work to date. Writing is so much more than a means of expression. As Fitzgerald states, writing is a way that you get out the message that’s burning inside of you and dying to get out. You’ll hear a lot about style as a writer, but in the end it comes down to whether your wording was right or wrong. Your writing will be stronger if you focus more on getting the wording right and less on the specifics of one style vs. another. Many writers believe that they need to get everything right the first time. Even professionals with decades-long careers may focus heavily on getting that first draft exactly right. A lot of writing is editing and rewriting, though, so don’t get too hung up on the first words that you write. Just because a piece isn’t supposed to be poetic or creative doesn’t mean that it has to be dry and boring. Even when you’re writing non-creative works, make sure that your work is a pleasure to read. The opening of your piece is what really captures the reader, and it needs to sell potential readers on everything that comes after. If you just toss something in there to get on with it, you may find that it sells the rest of the piece short. Writing is a simple process, but that doesn’t mean that it’s easy. 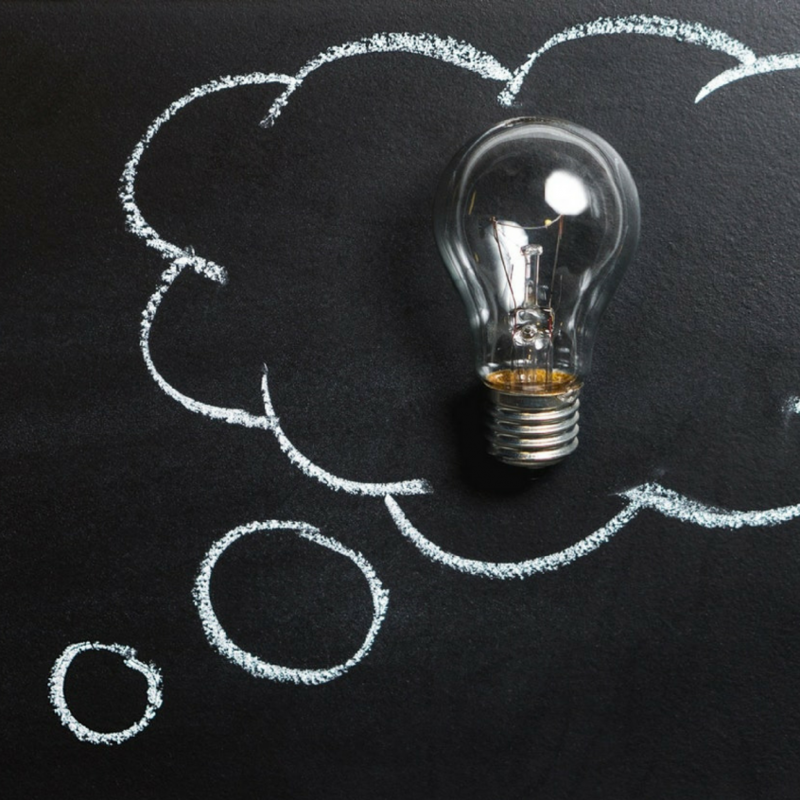 There’s a reason that only some people are writers… sometimes it takes everything you have to keep placing one word after another and see things through to the end. Even if you aren’t sure about your ideas, get them on paper (or on screen). You can edit and revise it into something great later; if you don’t get started, though, you’ll never finish. Perfect prose is built, not birthed. Don’t assume that you’ll find the inspiration to create a masterpiece on your first try. Instead, work with what you have and distill it into the masterpiece it can become. Sometimes, writing is the easy part. Don’t become so attached to your words that you’re afraid to revise them, since it’s usually the revision process that will make your work truly exceptional. If the final product flows and is an easy and enjoyable read, there was a lot of work that went in to getting it that way. Don’t get discouraged if your work isn’t an easy read just yet; it just means that you aren’t finished with it.